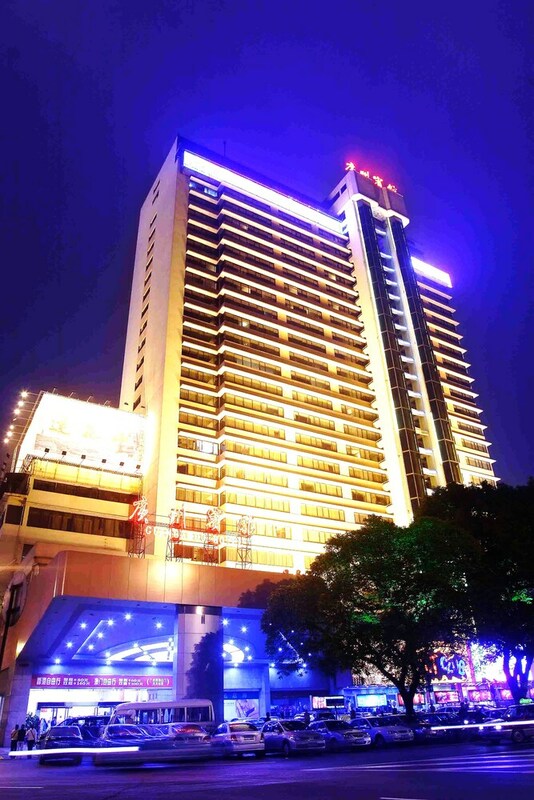 Located in Beijing Road, this hotel is within 1 mi (2 km) of Onelink Plaza and Beijing Road Pedestrian Street. Shangxiajiu Pedestrian Street and Yuexiu Park are also within 3 mi (5 km). Haizhu Square Station is 12 minutes by foot and The 2nd Worker's Cultural Palace Station is 14 minutes. Along with a restaurant, this smoke-free hotel has a conference center and self parking. WiFi in public areas is free. Additionally, a business center, a meeting room, and concierge services are onsite. All 349 rooms feature thoughtful touches like bathrobes and slippers, along with free WiFi and TVs. Guests will also find refrigerators, minibars, and room service. The hotel offers a restaurant. Wired and wireless Internet access is complimentary. Business-related amenities at this 3-star property consist of a business center and a meeting room. Event facilities measuring 646 square feet (60 square meters) include a conference center. This business-friendly hotel also offers tour/ticket assistance, multilingual staff, and concierge services. Parking is available onsite for a surcharge. Guangzhou Hotel is a smoke-free property. Grand Cloud Palace Restan - This restaurant serves breakfast, lunch, and dinner. Yindeng Restaurant - This diner serves breakfast, lunch, and dinner. Kids stay free! One child 10 years old or younger stays free when using existing bedding. Rollaway/extra beds are available for CNY 150 per stay. One child 10 years old or younger stays free when occupying the parent or guardian's room, using existing bedding. No pets and no service animals are allowed at this property.